State Express Transport Corporation operates bus from Kanyakumari to Velankanni via Nagercoil, Thanjavur, Tiruvarur and Nagapattinam. 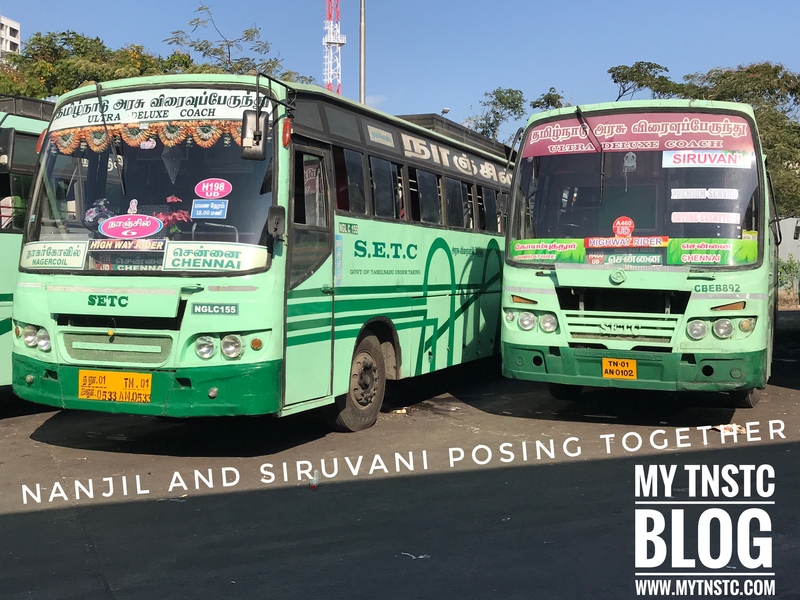 The bus service is operated by Kanyakumari Depot of SETC, the bus service departs from Kanyakuamari Bus Stand, Kottaram, Susindrum, Nagercoil, Valliyoor, Tirunlveli, Thanjavur, Tiruvarur, Nagapattinam and reaches its destination Velankanni. The journey time from Kanyakumari to Velankanni is 12 hours approximately and total kilometers covered is 542. The journey time and kilometers may vary due to traffic conditions. The bus fare is Rs.375 excluding reservation charges per seat, the route no. designated for the route is 561 UD.